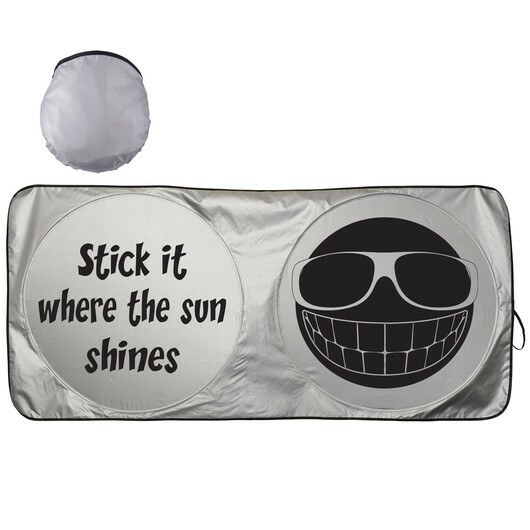 A silver car sun shade that features your logo! These folding sun shades are a must have inside every vehicle. Made from polyester and features a large print of your logo or message. To use, simply secure them on to your windshield with the black elastic straps. It will help protect your cars interior from sun damage and making the steering wheel not scorching hot! 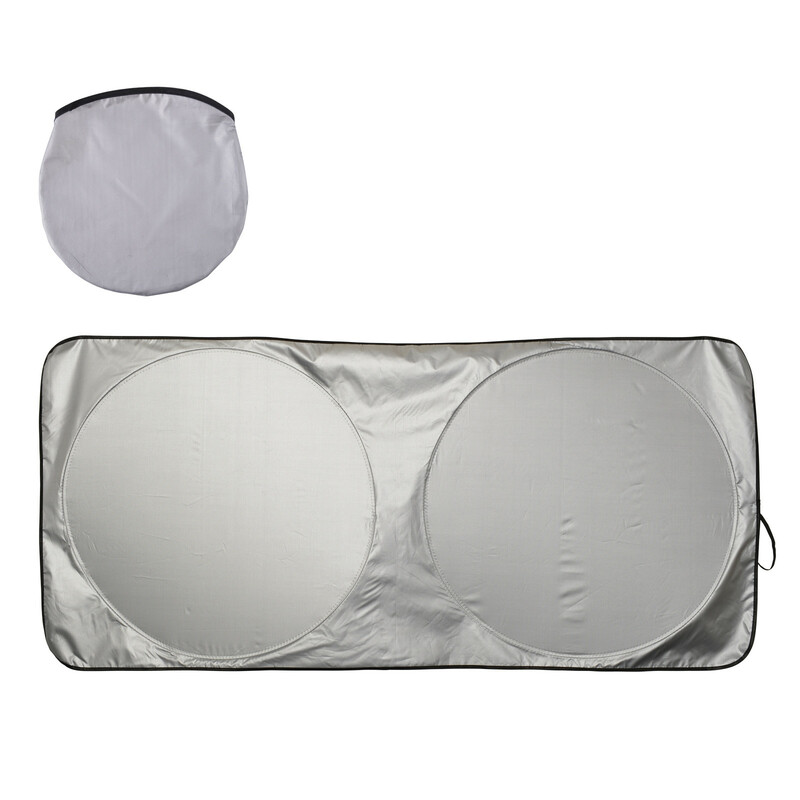 They have a silver front with black backing and piping.